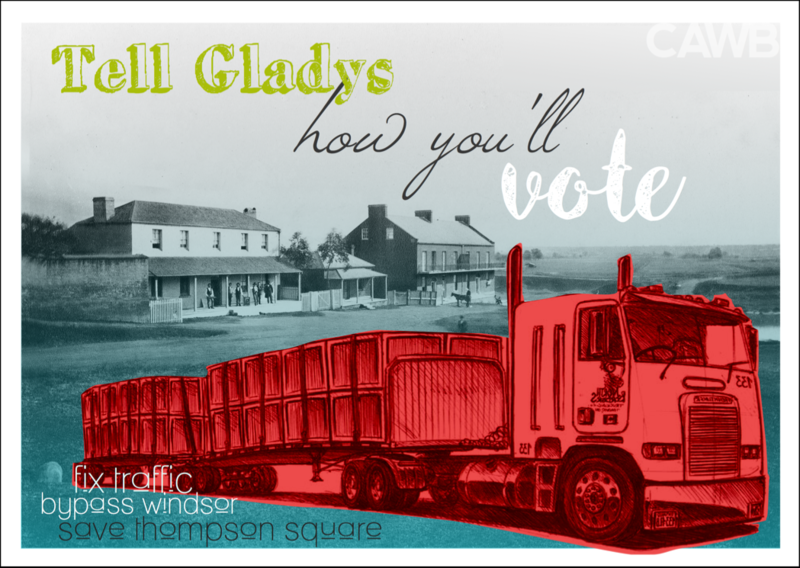 Below are two postcard designs for you to tell Gladys how you feel. We will print your message on the postcard and deliver it to Premier Berejiklian. We may also publish some of the messages on Facebook, however all personal details will remain private. Choose one, or sign both! In 50 words or less please tell Gladys how you feel. This can be as simple as "Build a bypass" or "Save Thompson Square", or whatever other message you would like us to pass on. ​We will not use your information for any other purpose than that intended. We will not share your personal details with any third party.